NEW SINGLE “ULTIMATE LOW” AVAILABLE NOW ON iTUNES CANADA! 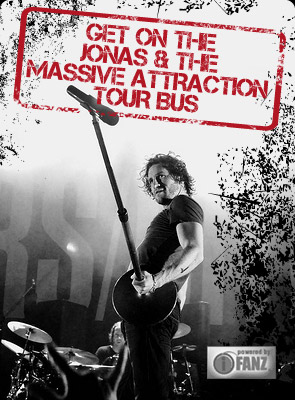 Jonas & The Massive Attraction’s first Canadian single “Ultimate Low” is out now on iTunes Canada at BUY NOW! “Ultimate Low” entered the TOP 50 this week on the Canadian Mediabase Active Rock Charts at # 45, with key playlist adds at 106.9 The Bear in Ottawa, Rock 106 in Lethbridge and Rock 105.3 in Medicine Hat. “Ultimate Low” is produced by Mark Holman & Marti Frederiksen (Aerosmith/Buckcherry/Mötley Crüe) and is on the band’s forthcoming new album “Live Out Loud” that’s set to hit stores across Canada on May 14, 2013!